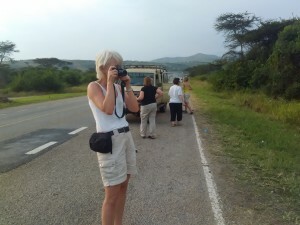 If you ever want to hear a true heartily safari experience from a client/traveler, then the best time is after the safari trip over coffee or a glass of wine as they cool off, while their mind transcends to the core of their soul to assess whether the decision they took was really worth it with you as part of this puzzle. Had an amazing chat with Eric Wendi after his safari, a German National working in Nairobi but often a regular visitor to Uganda for both business and getaway leisure. He summed his last safari as “The most Beautiful country in Africa, Beautiful weather, Warmly Hospitality and friendly welcoming people full of life”. Indeed he is spot on in all angles, unless you have Uganda on your Bucket-list, you will never truly know it. The hidden gem is not in the politics that often takes center stage but in the warm Uganda culture and its people besides the tourism heritage sites like the Bwindi impenetrable rain forest park famous for the Giant mountain Gorilla apes, the Tree climbing Lions of Ishasha in Queen Elizabeth National park, the Chimpanzee treks in Kibaale National park, The waters that thunder between the rock clefs of the Great River Nile in Murchison Falls national park. People will give warm reception and guidance to travelers and you wont feel strange in this country, social amenities in the main cities and tourism attraction sites offer diversity to ensure your live and travel in comfort. People and cultural adventures wont take much of your time and hassle so sneak it in your schedule and explore it besides religious heritage sites within the city of Kampala. Security is undebatable, your safe though take some precaution in down town areas if you’re a traveler trending on your own at night. Tour guides will be of much help at no fee, just reach out and inquiry. The young travelers are well sorted in terms of urban life activities with diversity to cater for all people of ages as long as you know where you want to spend your evening for dinner or good music. Accommodation offers a range from High class luxury, mid-range, budget and backpacker lodges and camps within the city and outside. You can checkout on TripAdvisor, Booking.com, Jumia travels for better deals if you want to directly make reservation. However local guides will give you better insight in your decision making. Often advertisements may not divulge the true reality of events so ask the experts in the industry for better guidance. Tours and Travel Agent with over 10 years in African Safaris Travel business experience with a passion to share and guide other travelers on possible opportunities and adventures that can be inspiring and memorable. Based in Kampala, Uganda-East Africa. 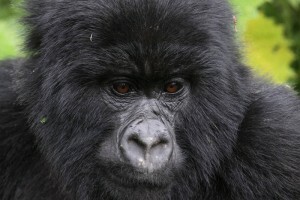 Walmark Africa Safaris is an Africa based tour operator organising safaris in East and Southern Africa. We serve destinations that include; Uganda, Kenya, Tanzania, Zanzibar, Rwanda, Zambia, Zimbabwe, Malawi and Ethiopia.